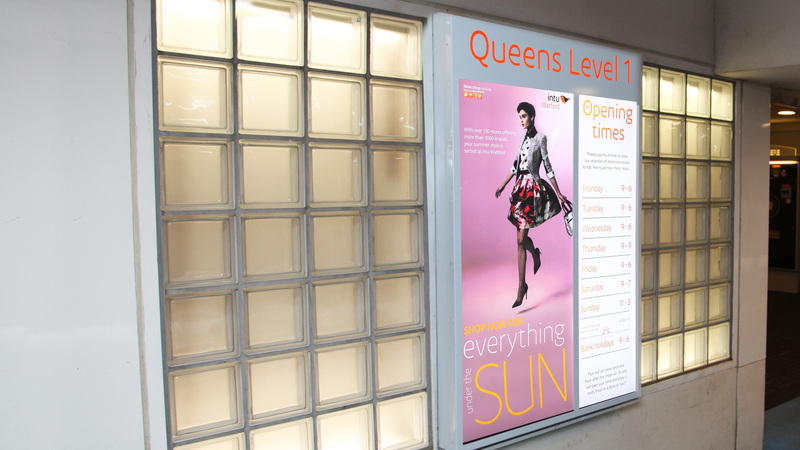 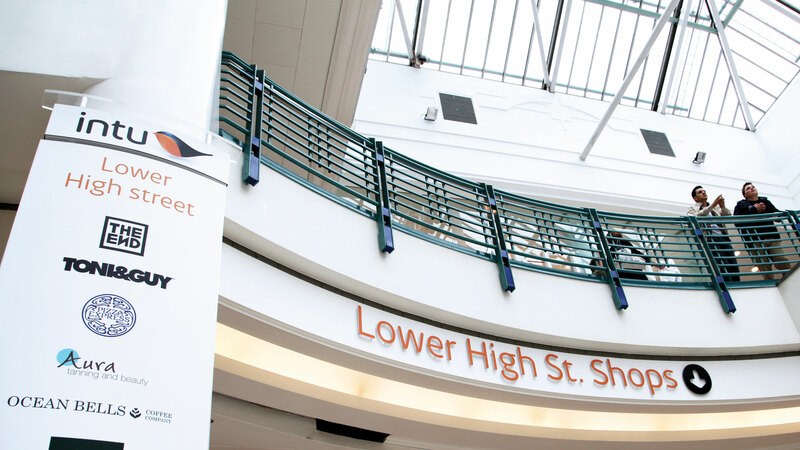 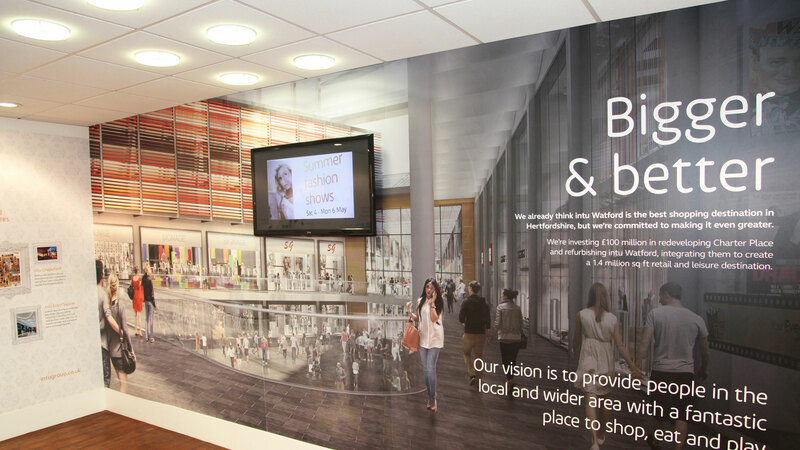 This is the new brand installation work we have carried out on behalf of intu Shopping Centres. 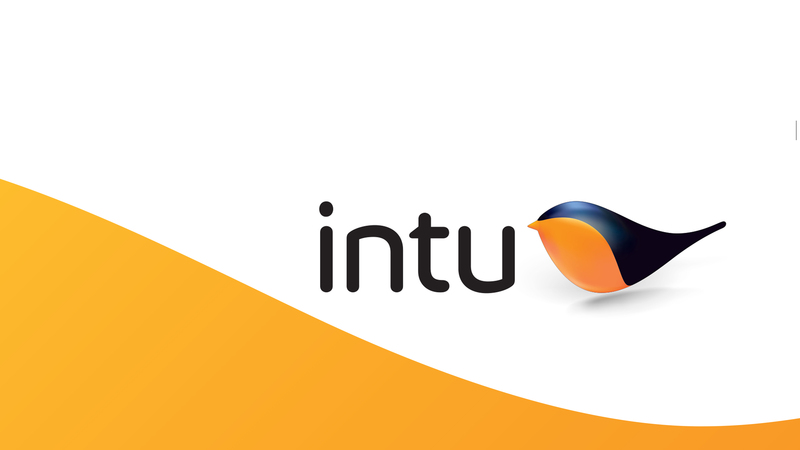 To kick off the rebranding of the Watford Harlequin and the intu Milton Keynes locations we carried out a detailed audit of both sites. 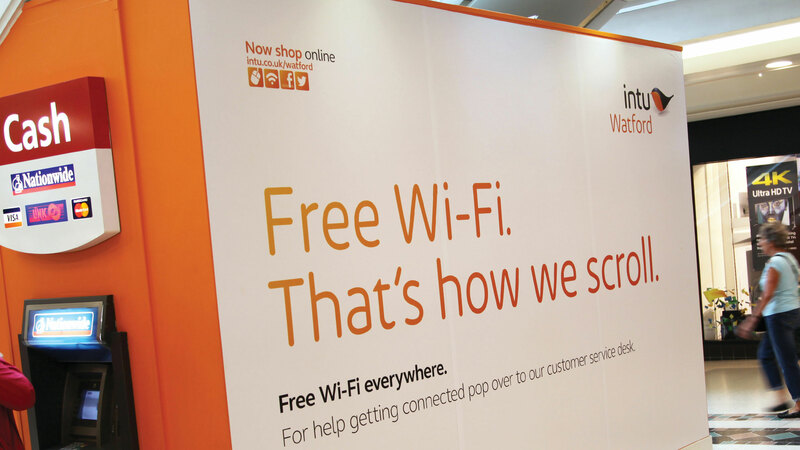 Adhering to the new intu brand guidelines we designed, artworked, produced and installed a comprehensive range of signage, marketing suites (designed by bwp group), hoardings and display stands.